87 years old- passed away on Saturday, August 27, 2016 at home in Woodbridge, New Jersey. Anna May was born and raised in Travis. After her wedding in 1947 she moved to Westerleigh for 4 years and to Graniteville for 30 years. Then in 1981 she moved to Brick, NJ and then to Woodbridge, NJ in 2013. She attended Port Richmond High School and then worked as a secretary at Halloran VA Hospital in Willowbrook. She met a number of celebrities who came to entertain the soldiers. Anna May enjoyed traveling and sports. She enjoyed playing cards and board games with her family. She was a great fan of country music, the NY Yankees, Wheel of Fortune and other game shows. She was very patriotic and gave donations to different Veteran groups. 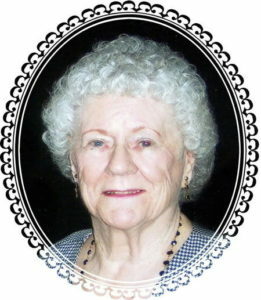 Anna May was predeceased by her daughter, Elaine Dray, in 1998 and her husband of 57 years, Joseph in 2004. She is survived by her daughter, Janet Moisewicz, her grand-daughter, Alison Molini and her husband Gregory Paul. A grandson, Jeffrey Dray and her son-in-law, Robert Dray. Blessing at Cherubini McInerney Funeral Home, formally Meislohn-Silvie on Wednesday at 10am with a Christian burial at St. Peter’s Cemetery. Friends will be received on Tuesday, 2-4pm & 6-9pm. In lieu of flowers, donation to the American Cancer Society would be greatly appreciated in her memory.